Mister is an Indian Telugu Language Action-Romantic Flim, Which is Directed by Srinu Vytla and Produced by Nallamalapu Bujji & Tagore Madhu ,while Mickey J Meyer scored Music for this Movie. Coming about the Cast & Crew of the Movie is Varun Tej, Hebah Patel, Lavanya Tripathi, anand, Eshwari Rao, Satyam Rajesh, Srinivasa Reddy, Ragu Babu, Harish Uthaman, Murali Sharma, Nasser, Nagineedu, Shakalaka Shankar .while Guhan took Charges of the flim Cinematrography and Editting of the Movie is M.R Varmaa . Mister Movie Released on April 14,2017. 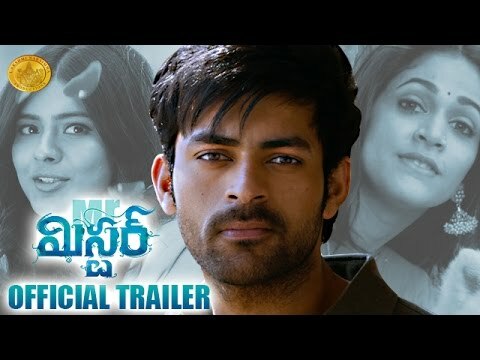 Pichai Naidu aka Chai (Varun Tej) who lives in Spain with his Parents accidentally meets Meera (Hebah Patel) and falls in love with her instantly. By the time he proposes to her, Meera discloses that she is in love with another person. Chai lands in India upon knowing that Meera’s Marriage isn’t happening as per the plan. His meeting with Chandramukhi (Lavanya Tripati) adds a twist to the story. How Chai resolves the whole issue and whom among the two will marry him forms the rest of the tale!